How will you know if your next conference was worth the money you’ve spent on it? Attending a conference is marketing, and to do marketing right, you have to measure, measure, measure. With five simple tips, our complimentary whitepaper will help your company understand what steps to take and what metrics and analytics to focus on in order to maximize the return on your marketing dollars. 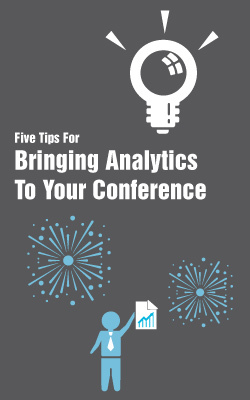 Download this free whitepaper today to ensure your team gets the most out of your next conference. Download may take a few seconds. Please stay on the page and do not hit refresh. By clicking "Submit" you agree to be added to our mail list to receive news from Sparx Publishing Group or its subsidiaries including SparxTrading.com. You may unsubscribe from this list at any time.